I feel like not visiting Vietnam at all if we've never explored the Cu Chi Tunnel. Other than the glorious food Vietnam has to offer, this is by far one of the best experiences I have in Vietnam. I can still imagine the thrill, the fear, the dark passageways, the difficulty breathing, and the crawling that we did just to catch a glimpse of the Viet Cong's life inside the tunnel. We'll not everyone braved the small tunnel complex especially those with bigger body frames because the entrance is just too small. The size of the tunnel can fit a small adult person in crawling position. I hope you get the picture. 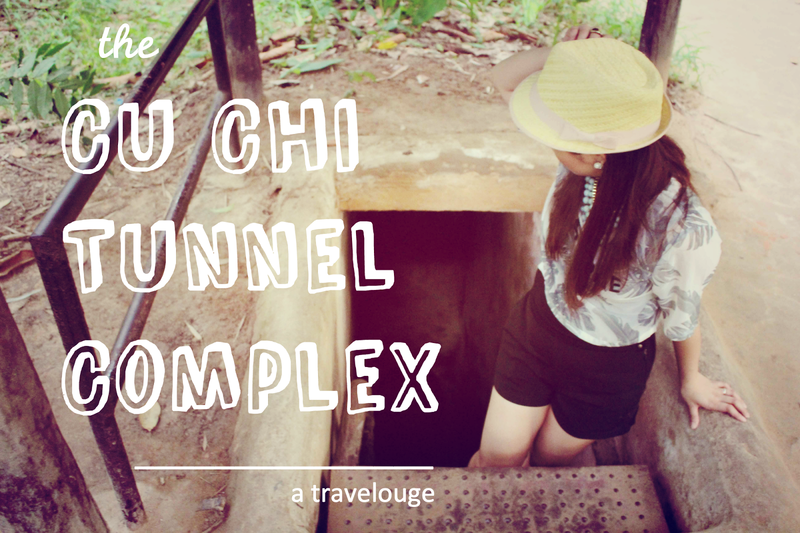 If you're really interested to know what I mean, try googling 'cu chi tunnel complex' to get a view of how it looks like. According to Wiki: "The tunnels of Củ Chi are an immense network of connecting underground tunnels located in the Củ Chi district of Ho Chi Minh City (Saigon), Vietnam, and are part of a much larger network of tunnels that underlie much of the country. 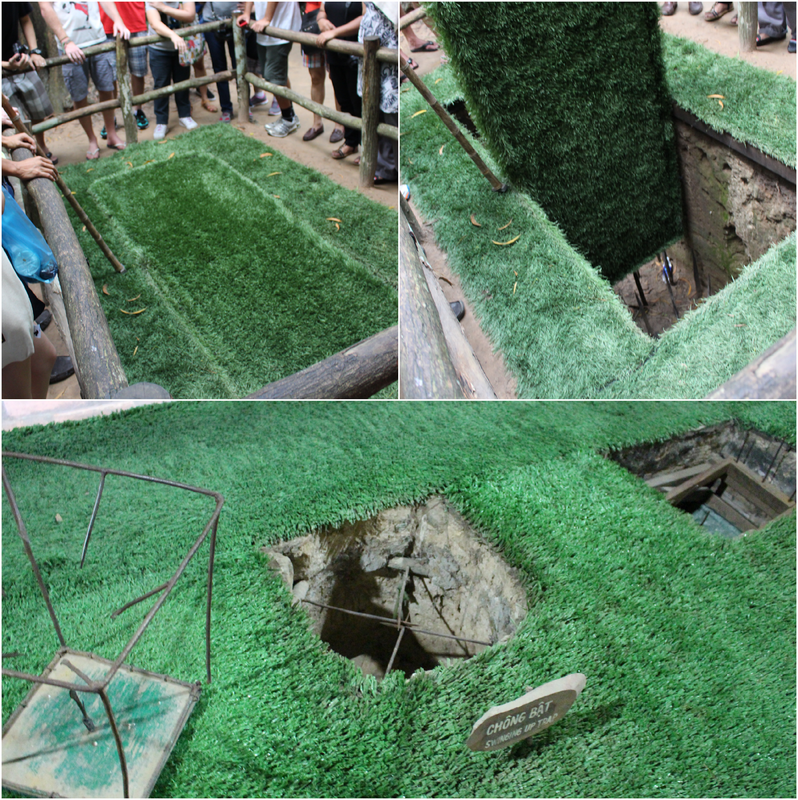 The Củ Chi tunnels were the location of several military campaigns during the Vietnam War, and were the Viet Cong's base of operations for the Tết Offensive in 1968. The tunnels were used by Viet Cong soldiers as hiding spots during combat, as well as serving as communication and supply routes, hospitals, food and weapon caches and living quarters for numerous North Vietnamese fighters. The tunnel systems were of great importance to the Viet Cong in their resistance to American forces, and helped to counter the growing American military effort." We did the afternoon tour because the tour company cannot accommodate our morning schedule. The morning tour cost 120,000 VND while the afternoon tour cost 150,000 VND. In my opinion, the reason why it's more expensive in the afternoon is because only a few number of tourists go in the afternoon compared to those who go in the morning. Just my two cents. My brother in law book the tour for us in advance at Diamond Travel Co. Ltd, Pham Ngu Lao Street. The tour company gave us a discount from the original price of 150,000 VND to 120,000 VND (tour bus ride only to Cu Chi tunnel) because we are a group of 4 people. 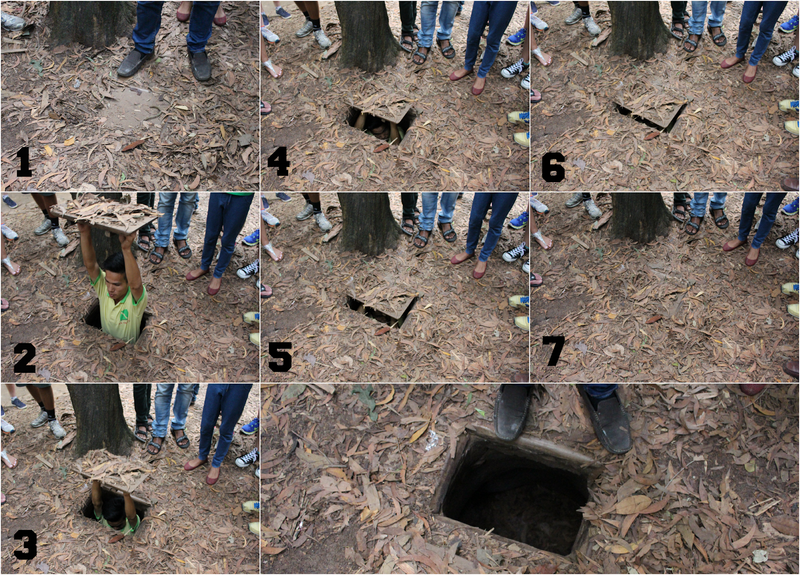 The entrance to Cu Chi Tunnel is separate. You'll pay another 90,000 VND for it totalling to 210,000 VND per pax. This is by far cheap compared to booking the tour online as it may get 3 times more pricey. If you are not in a rush, I suggest you to book the tour at Pham Ngu Lao Street as there lots of tourist shops around the area. Our tour bus didn't head directly to the tunnel complex. Our first stop was at Handicapped Handicrafts. Our tour guide said that these people we're victims of the war. Most employees in the art factory are disabled because of the chemical bombs dropped by the US soldiers during the war time. But our tour guide said that their disability is not a hindrance for them to move forward. He ushered us into the factory we're these people were working. Gosh! They're very talented. I love the art crafts sold at the shop. It's really of quality. 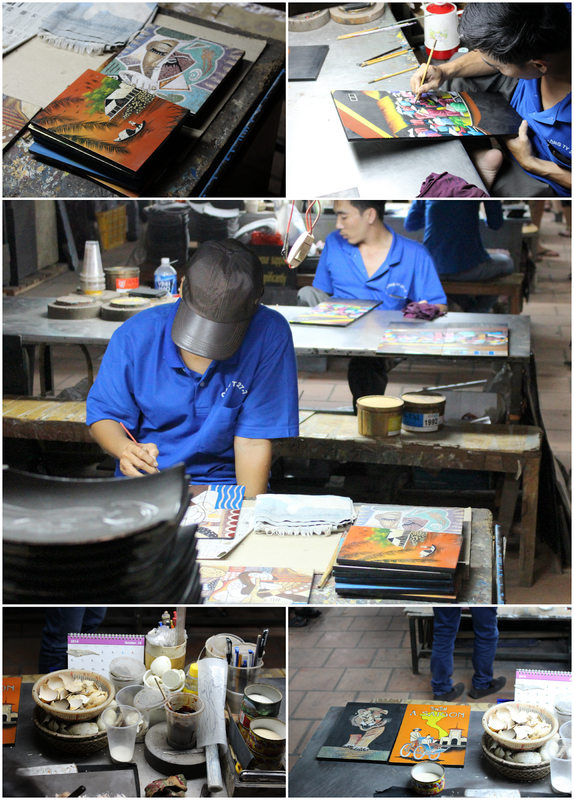 If you're into art, I suggest you prepare around 500,000 VND to 1,000,000 VND to buy small craft items. It may come a bit pricey compared to other shops outside but their work is a hundred times better. Trust me, I did many comparisons of their work compared to others while in Vietnam. And at the same time, you are supporting and helping these people regain their lives. We are finally here. I can't wait to get inside the tunnel. I mean the real one used by the Viet Congs. But we have to be patient. You see as per protocol the tour guide has to follow his usual tour route before going to the real deal. The first part is the introduction of the hidden entrance to the tunnel complex. Check out the tour guide. He fits really well inside. And, of course, I have to try it too. Ahaha! And my face was like '?!%*?!'. I can feel the damp cold air in my legs. Scary but exciting! I tried getting in when it was almost dark after the whole tour at the complex is over because I never get to try it the first time. I must really try it! Ahahah! Oh, that mentality. Next are the traps used by the Viet Congs. Our tour guide said that the Viet Congs doesn't have much supply of weapons so they've used what's available around them. Smart, aren't they? The war is more of like the battle of the brains. Next are the bunkers, the hidden quarters, the rest area, the Viet Cong's kitchen and so on. I wouldn't go through all of these as these information could be related to you when you get there. Anyway, I know that most of you don't read this whole so you must go to be informed. ^.^ Anyway, I'll be sharing my photos with you as they say, "A picture paints a thousand words." This is the most exciting part of our trip. When the tour guide said it's time to go in. I hurriedly positioned myself to be the next person from the tour guide. But of course, he is the first to go in so that means I'm second. For the first 3 seconds inside the tunnel, I was still acting brave and excited. The succeeding seconds that follow feels like, "Am I still going to get out out of here?" We'll actually I've asked the tour guide if there's an exit. Ahaha! What a question! To be honest, I felt afraid of losing sight of him (our tour guide) especially when I saw another carved passageway from the side of the tunnel. Actually, it's another exit which I've come to realize after crawling out of the tunnel. Yeah, it's just one of those naive moments. Inside the tunnel, my mind was racing and my thoughts we're like, "I don't want to get lost here forever." I know, I'm exaggerating. I mean he (the tour guide) just crawls so fast that I loose my breath. So somehow I feel like I need air! Help! When he finally said that this is the way to the exit, I felt relieved. Yay!! And when I looked at the distance from above, I was proud of myself. I patted myself and shouted to my husband standing at the entrance (where I came in). We'll he cannot come in because he has a bigger body frame. ;)) Check out the distance of the tunnel where we've traversed from the picture below. Look for the nipa hut roof at the back of that group of people. Somehow it feels like forever when I crawled inside the tunnel complex. Oh my, I can't imagine the Viet Cong's living inside here. This is definitely not for the faint of heart as it requires strong will and determination to be living inside these tunnels. It's scary and feels like there's only a limited supply of air flowing inside. How can I forget that feeling. It's crazy! After my successful, proud of myself, entrance to the tunnel, me and hubby observed other tourists who just emerged from the tunnel and we had a good laugh after we saw the face of a man who looked like seeing the outside world for the first time in 5 years. Ahaha!! Me and hubby couldn't help but chuckle at the sight of his face. Sorry man! Yay!! I've survived! I felt like singing, "First I was afraid, I was petrified..." Ahahah! One bucketlist down baby! Our tour culminated with a 19-forgotten black and white crappy video during the wartime. The tour took us 6 hours from 1pm - 7pm. I suggest you to buy some light snacks before doing the tour just to make tummy happy. 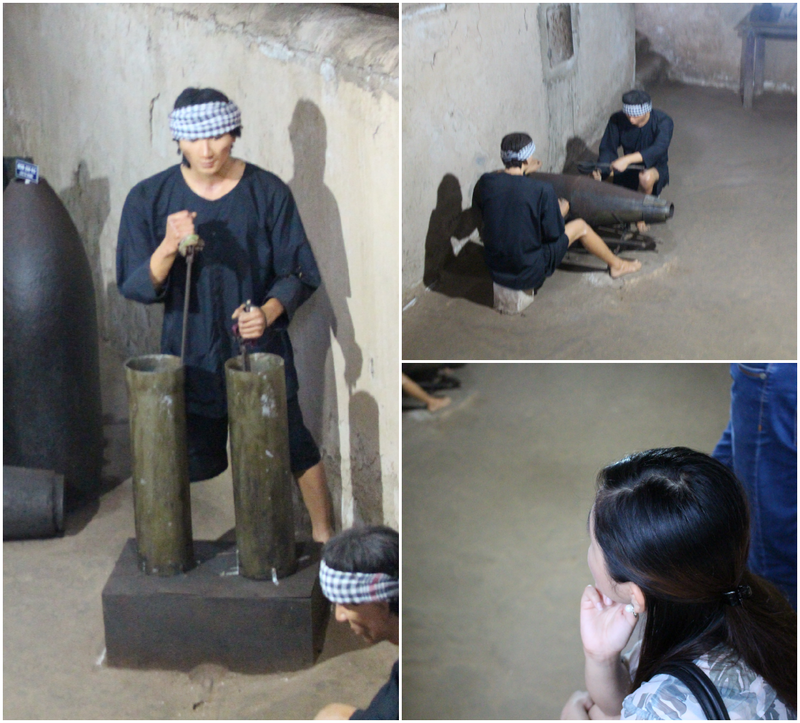 There's also a firing range at the area for interested tourists who wanted to try it as well as souvenir shops. Don't miss out on my Vietnam Travel Guide from this link. Wow!! Amazing and interesting post doll!! Thanks for share it! Thanks for your lovely comment!! Of course I want to follow each other. I'm your new follower on GFC, Facebook, Twitter, Instagram and Bloglovin. I hope you can follow me back! Interesting pictures. Can't wait to see more.